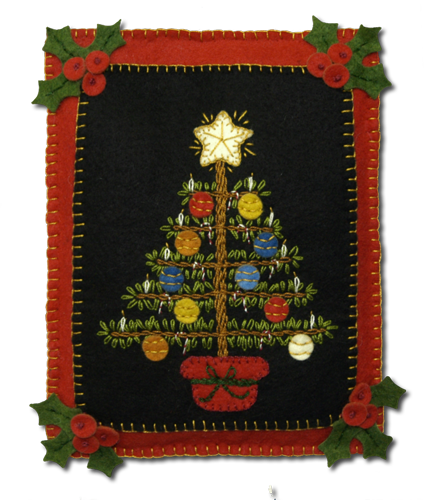 This kit makes an 8″ × 71⁄2″ pillow with an embroidered Victorian Christmas tree design typical of the Victorian era. The pillow is red with a black insert with stuffing. 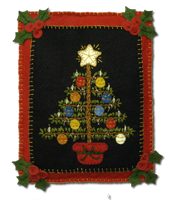 It's a perfect complement to your Christmas decor and a great place to show your stitching skills. The kit is made with our precision-cut wool felt, including stuffing (precut), needle, floss, and instructions.